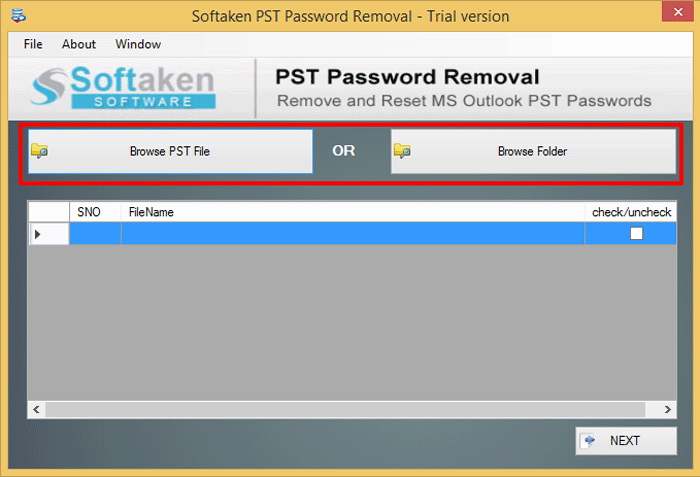 Step 2: Select password protected Outlook PST file. Step 3: There are two options to remove or reset the password of PST file. 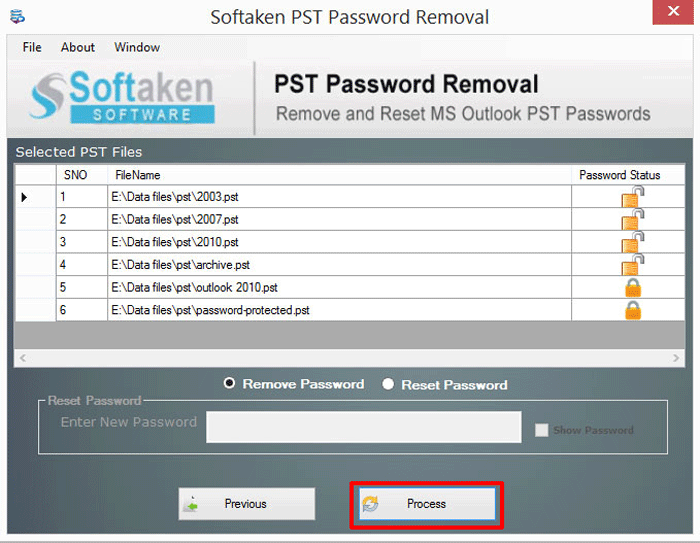 Step 4: Now click on process button to start the password recovery process.